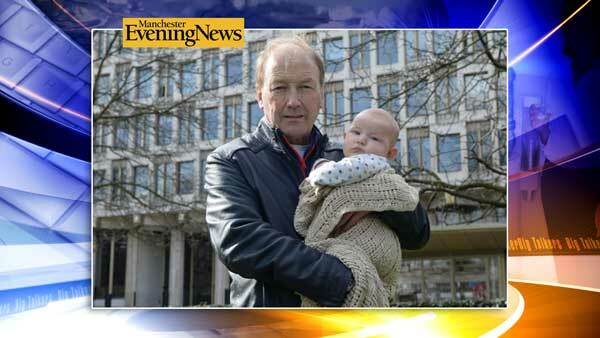 LONDON (WPVI) -- A 3-month-old baby was brought in for questioning by the US Embassy in London after his grandfather accidentally checked the wrong box on a travel form. It started when baby Harvey's grandfather, Paul Kenyon accidentally checked the wrong box on a a vital travel form. Harvey was about to take his first overseas trip to Orlando, Florida. Grandpa was filling out the visa forms when he accidentally checked yes to question D, which reads: "Do you seek to engage in or have you ever engaged in terrorist activities, espionage, sabotage, or genocide?" Kenyon calls it the most costly mistake ever, which included a ten hour detour, missed flights and at least 3,000 Euros in fees. He says while the embassy did not have a good sense of humor, he did, joking that the only thing Harvey has ever sabotaged is a few diapers.